The Eccles Theater promises to be a hub of activity year-round with indoor and outdoor entertainment spaces. The 2,500-seat theater will host national touring Broadway, concerts, comedy and other popular entertainment events; while the multi-use Black Box will see innovative local performances and community events. The six-story Grand Lobby will hold public art and events on the outdoor plaza will energize Regent Street. Encore, a full service bistro operated by Cuisine Unlimited, will round out the experience at the Eccles Theater. 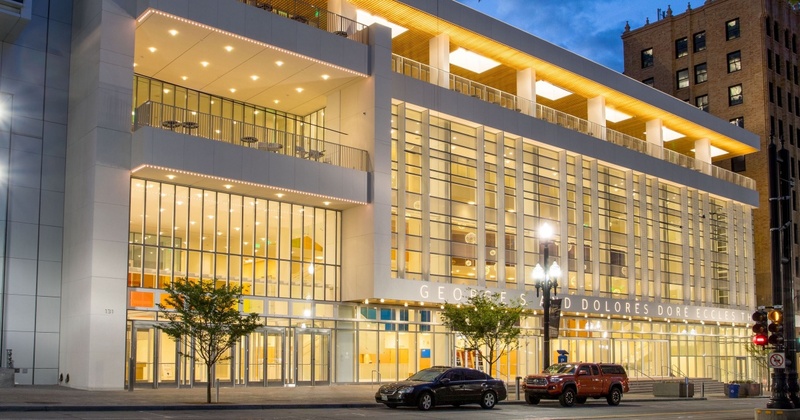 Whether you come to the Eccles for a performance or a bite at the bistro, we hope you will take time to explore and enjoy the unique art installations in the Grand Lobby or engage in people watching from terraces overlooking Main Street.